394. 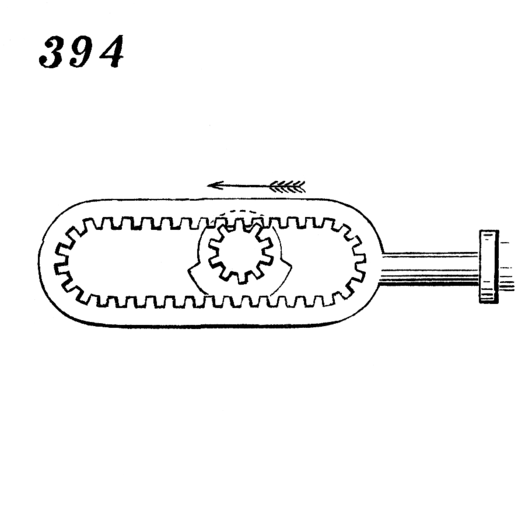 C. Parsons’s patent device for converting reciprocating motion into rotary, an endless rack provided with grooves on its side gearing with a pinion having two concentric flanges of different diameters. A substitute for crank in oscillating cylinder engine.